Lots of progress to report! There has been so much activity in the last week that it has been hard to keep up with everything! 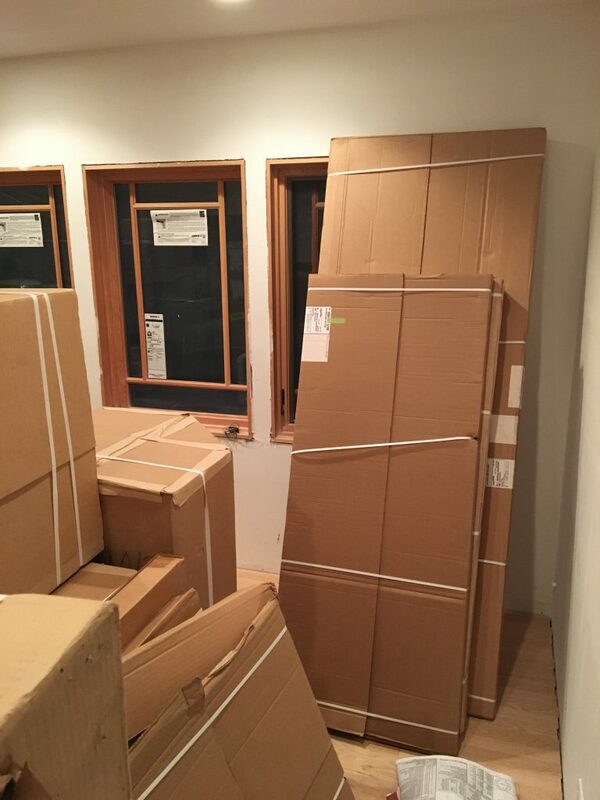 The cabinets have arrived in boxes and are packed floor to ceiling in the addition. 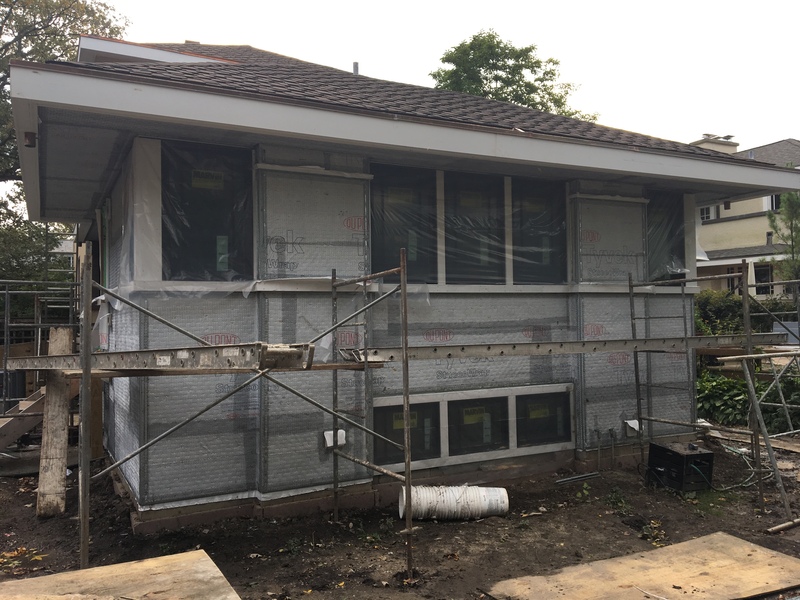 Installation of the cabinets will begin this week. We have purchased all of the appliances. 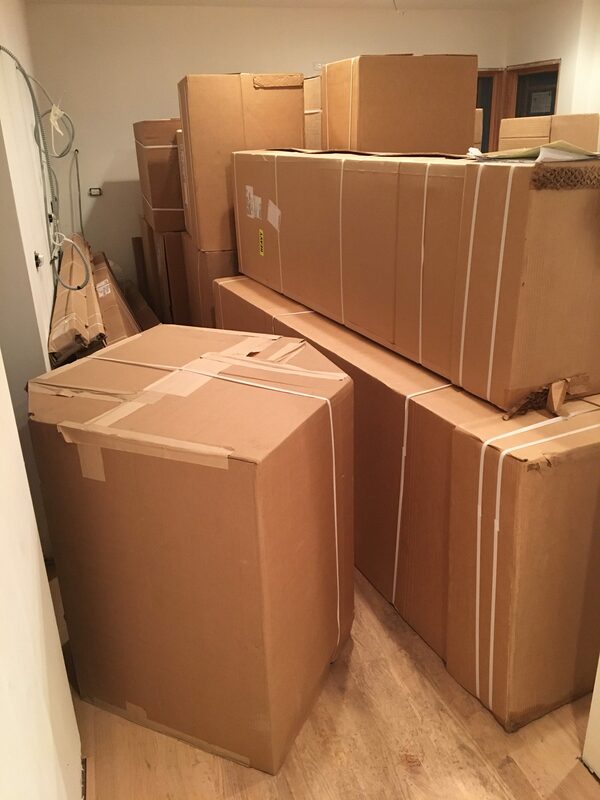 We were able to get several as “open box” and “floor model” specials to save a little money. The appliance installer will measure for the appliances next Friday, with installation of them scheduled for Friday, November 2. Hopefully everything goes smoothly with the cabinet installation. 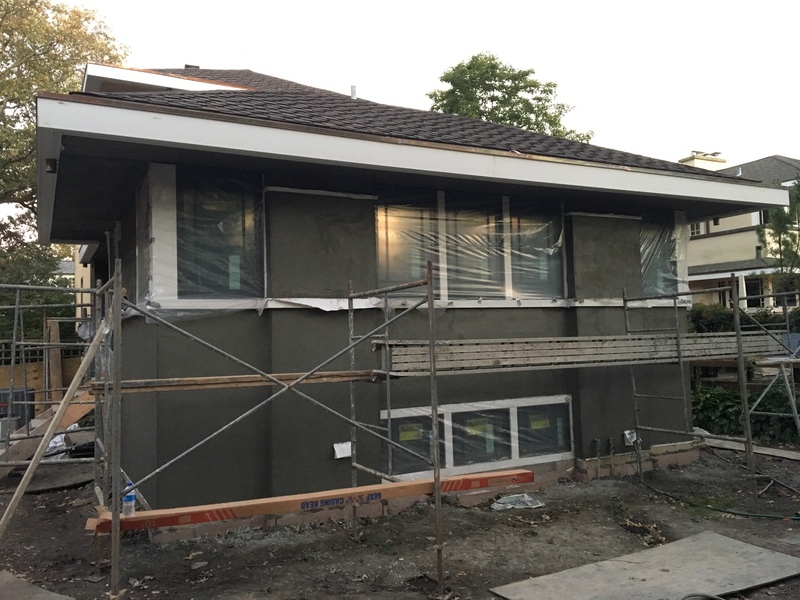 Stucco work is underway. 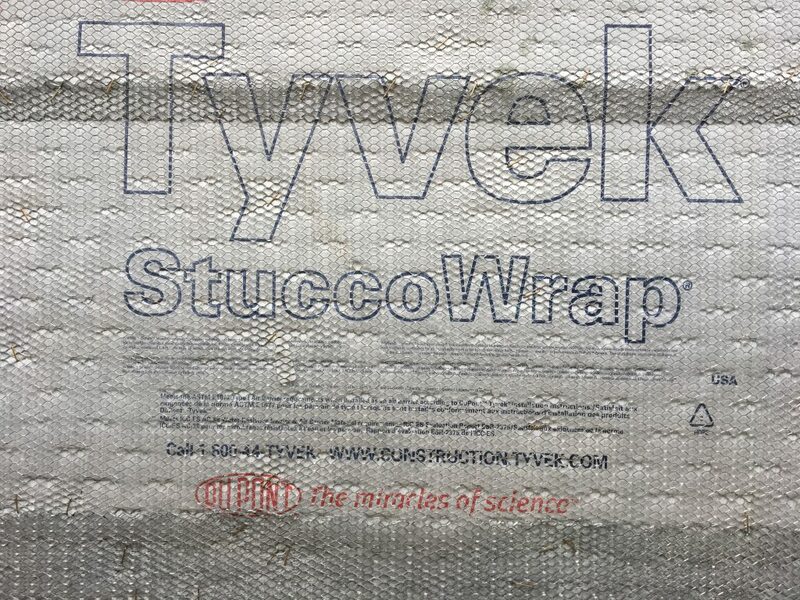 To stucco a house, you have to cover the house with a waterproof membrane, then install metal lath substrate, and then apply coats of stucco. 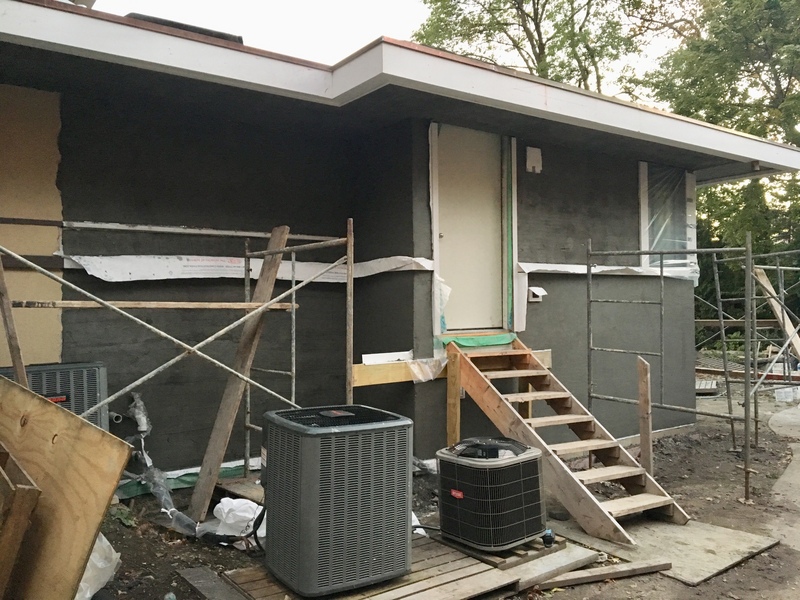 The first coat is called the scratch coat. Next comes the brown coat. Finally, the finish coat contains the color. 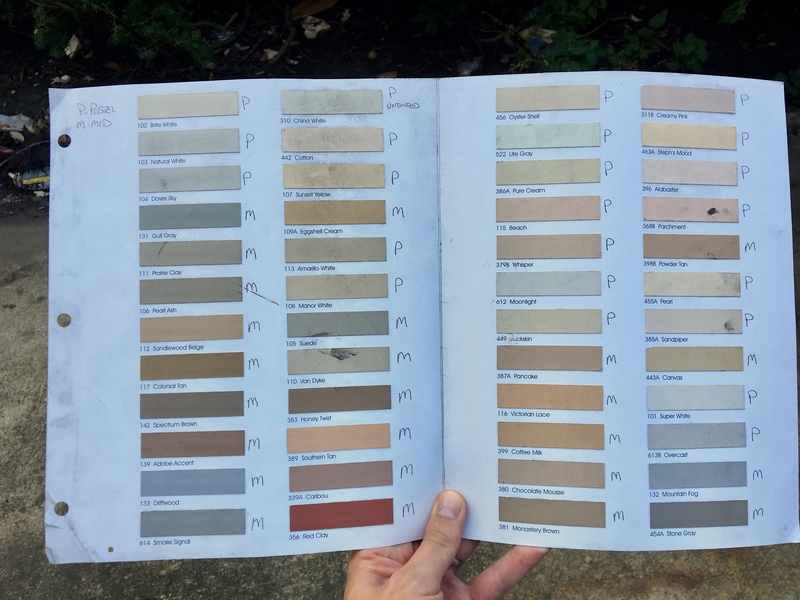 Stucco color palette. This will be a difficult decision! 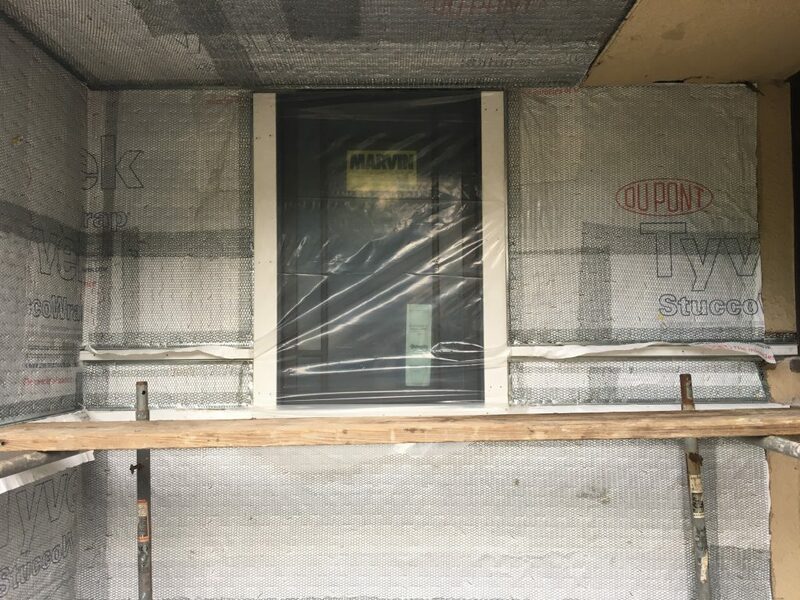 First, a waterproof membrane was installed. 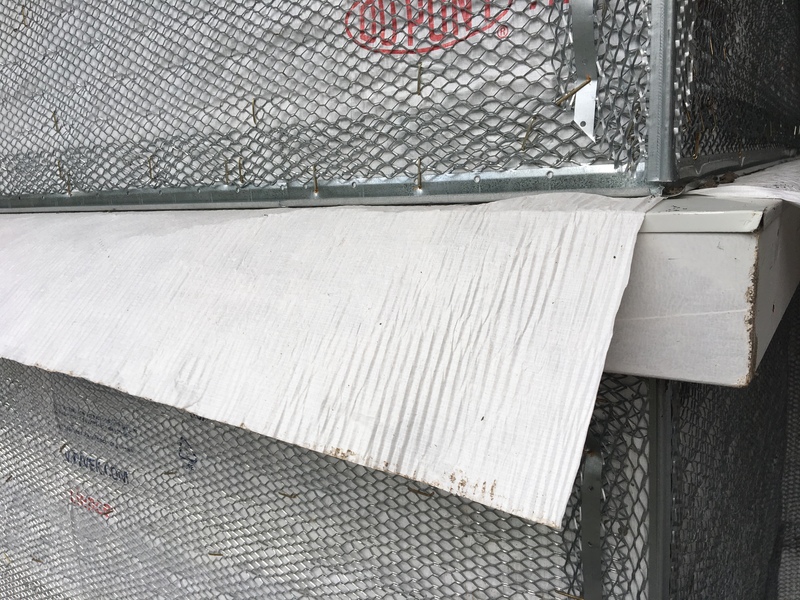 Then, a metal lath substrate is installed. Here’s a close-up. 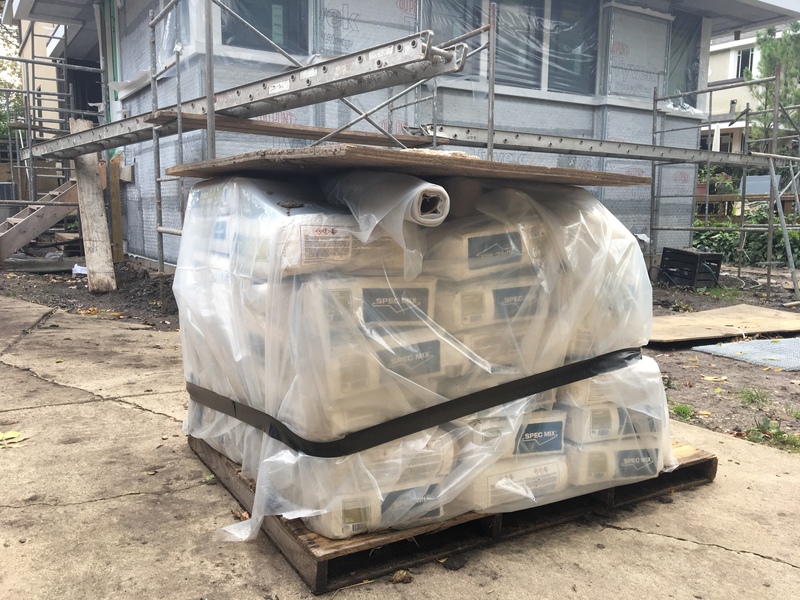 A pallet of stucco. 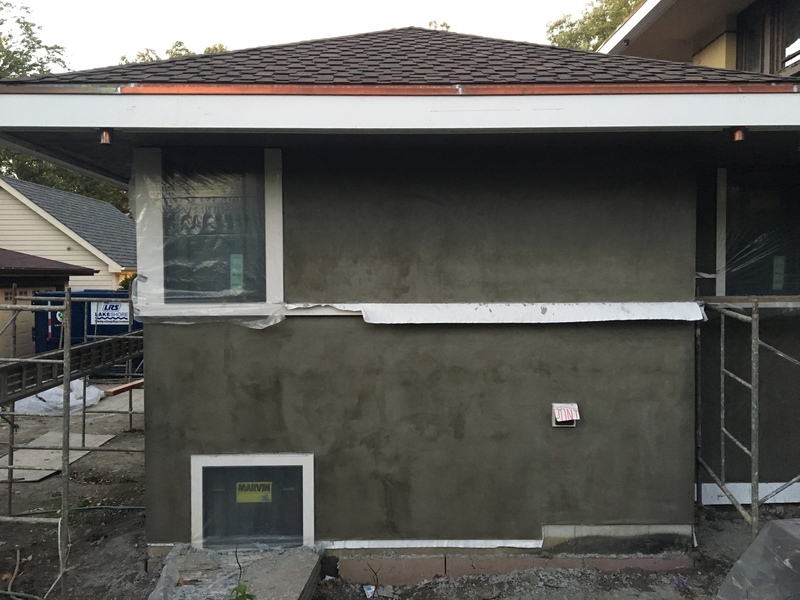 Stucco is very similar to concrete, so it has to be mixed with water and then troweled onto the house. 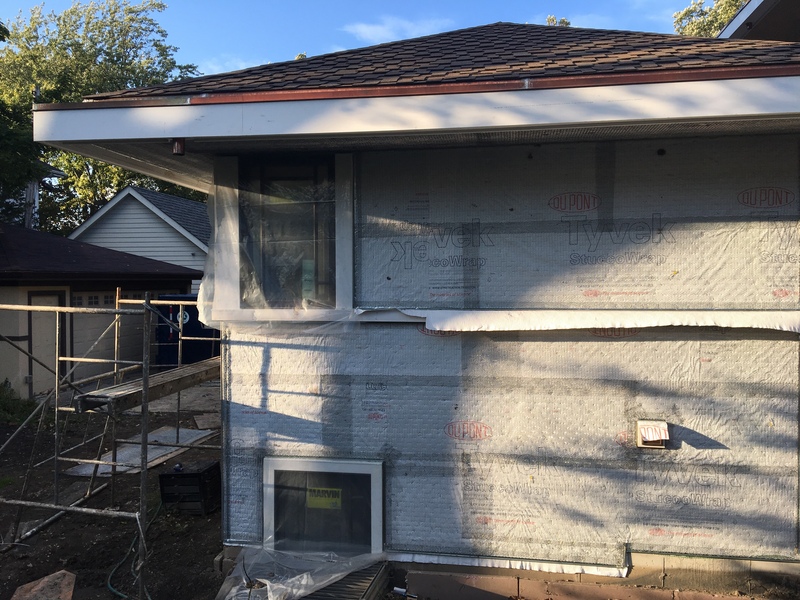 Notice that the eave has been prepared, and the windows protected. 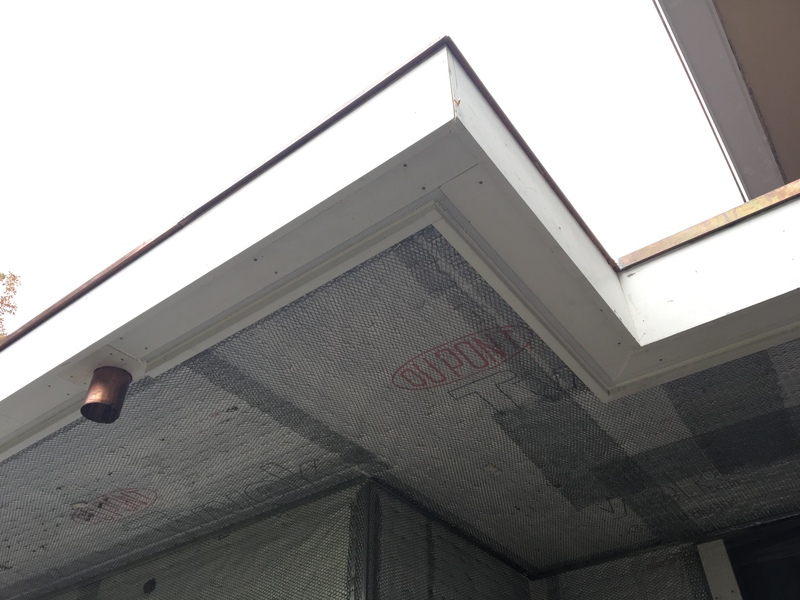 Metal “casing bead” edge trim pieces are installed where stucco installation stops along the windows, trim, and foundation. 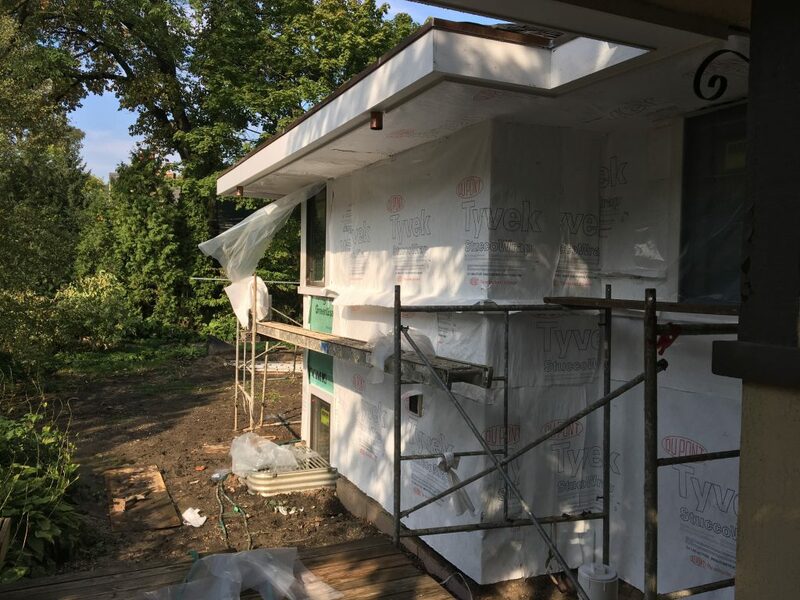 Even the eaves will be stuccoed. As usual, it wouldn’t be any fun if there weren’t some complications. 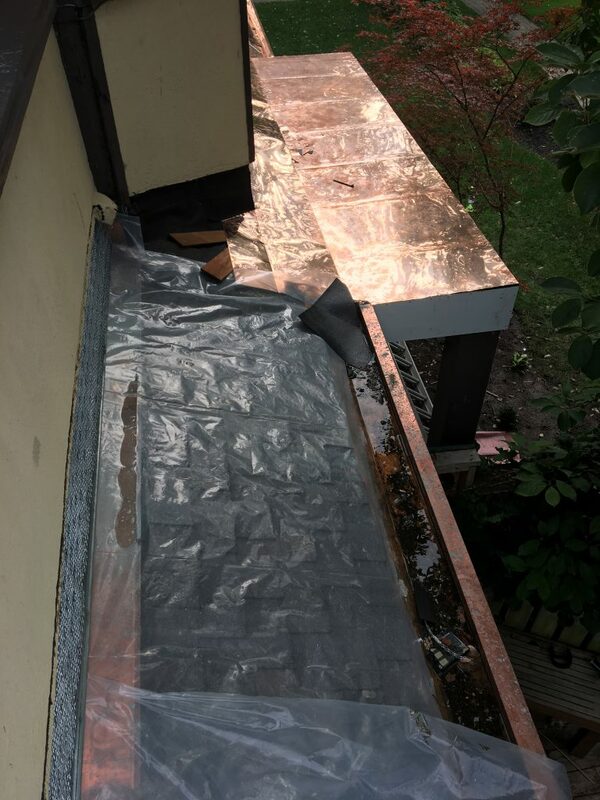 To stop water leaks, our roofer put temporary ice and water shield over the new copper roof flashing. The problem with that is that the stucco must be installed over the flashing, leaving about an inch of copper flashing exposed between the roof and the stucco. The ice and water shield is a very sticky adhesive, so it has to be removed, but that will leave the adhesive on the copper. It will somehow need to be cleaned. 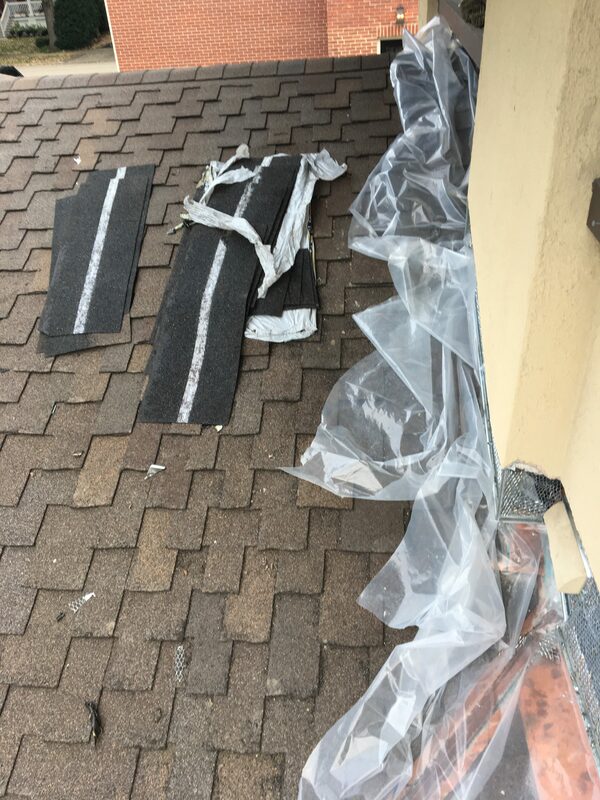 It is an aesthetic concern, but it should have been done properly. Below is a photo of the affected area. 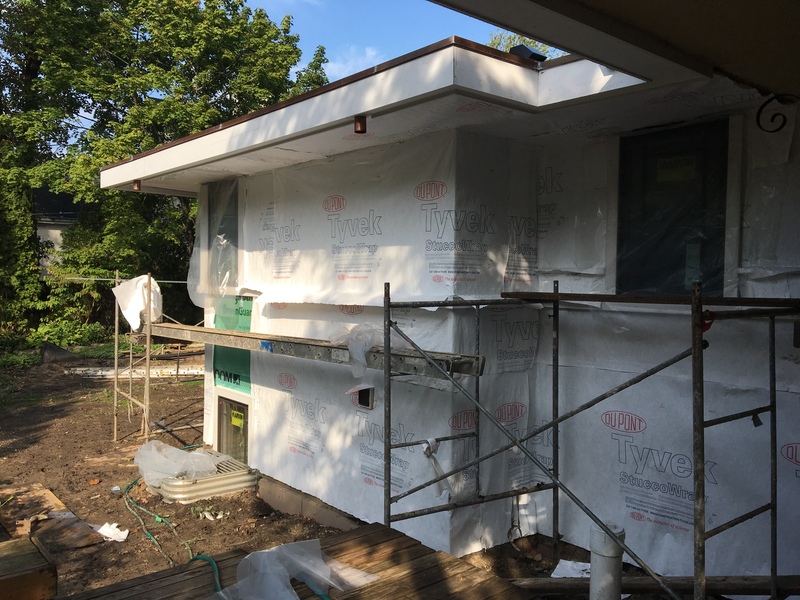 The scratch coat was installed today, which dramatically changes the look of the house. I’m glad we didn’t install sod in our back yard. 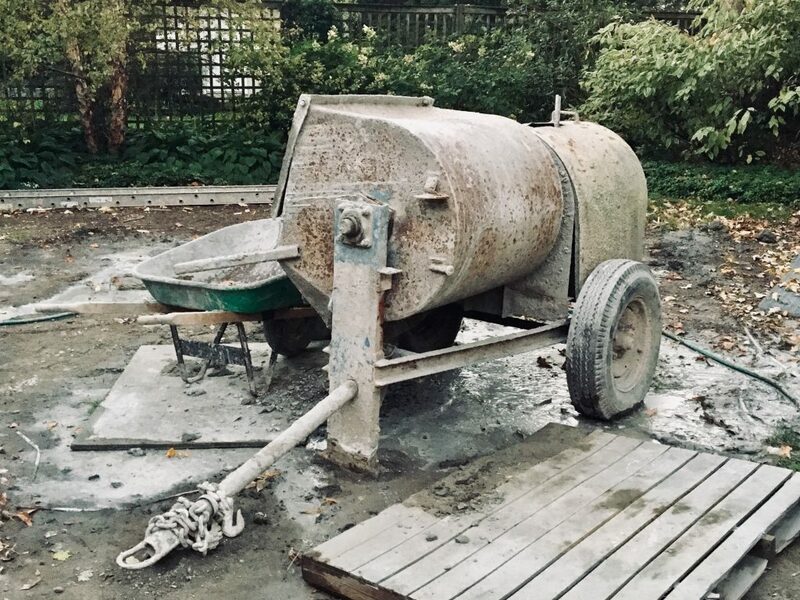 Mixing stucco is a messy business! 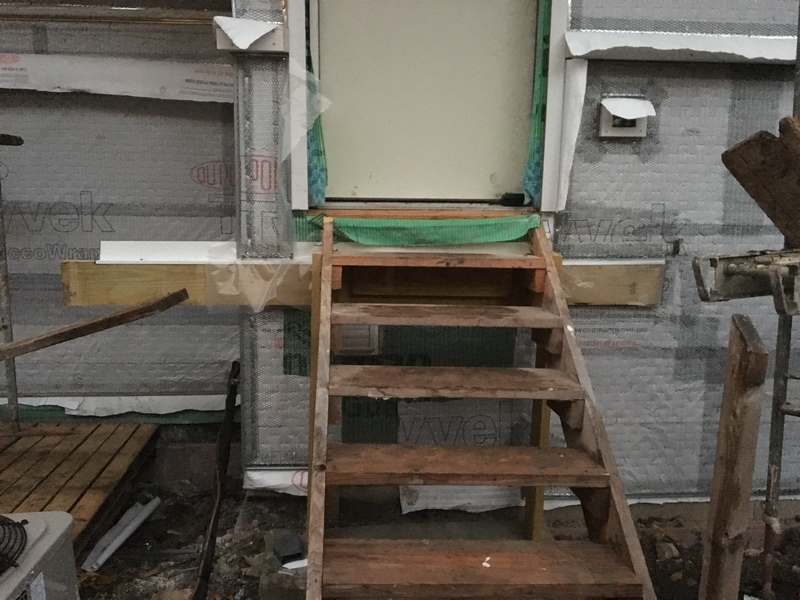 The carpenter returned to add a single deck starter piece under our door, where we will have a small deck and stairs leading down to the driveway. 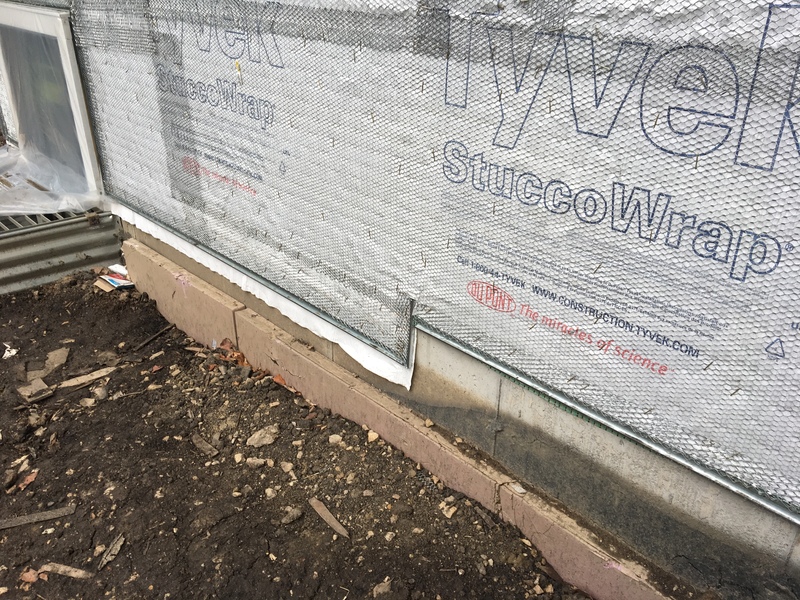 This piece needed flashing installed before the stucco could go on. 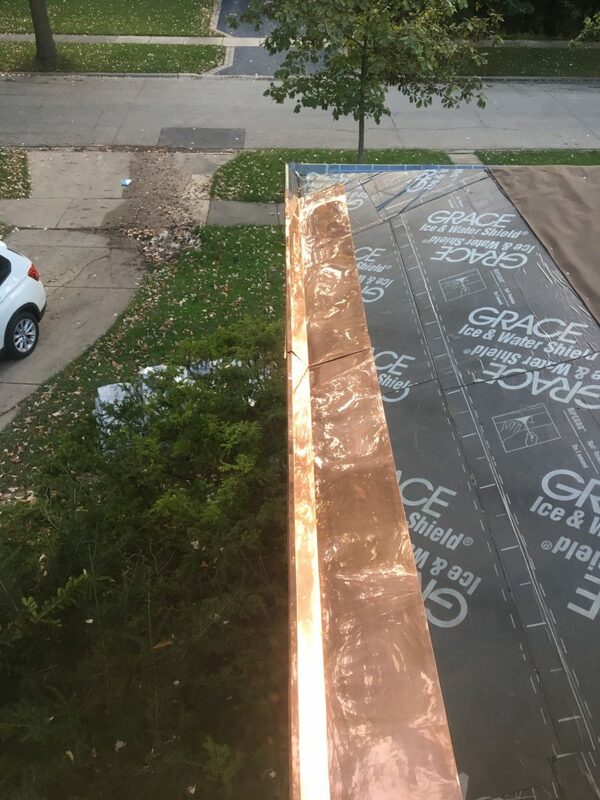 Our roofer decided to remove the membrane roof over our doors and replace it with copper. 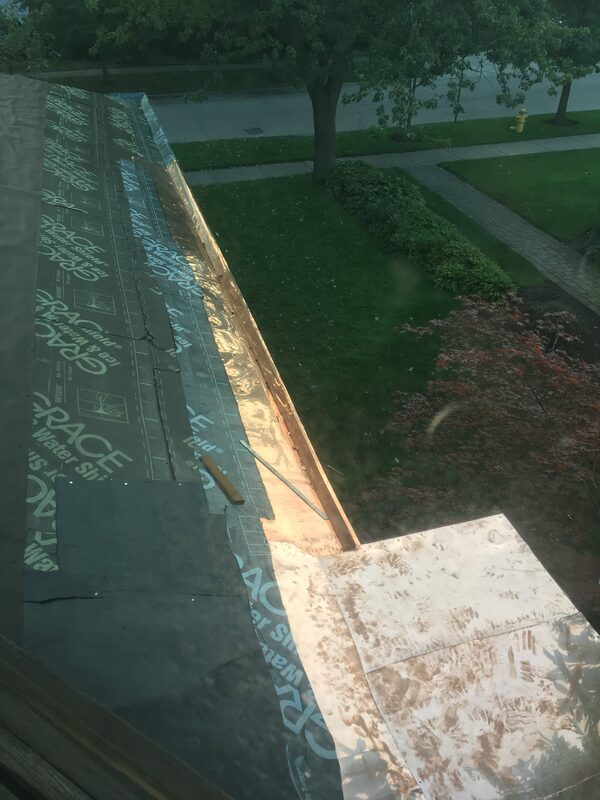 The problem they faced was properly connecting the new gutters into that flat roof, and they felt this was the best way to achieve a water-tight connection. 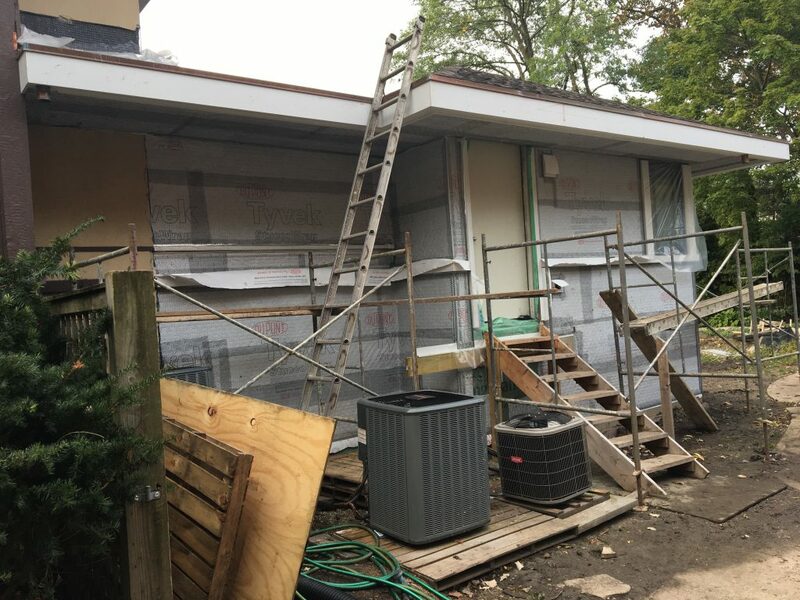 New sections of copper gutter liner continue to be installed around the porch. 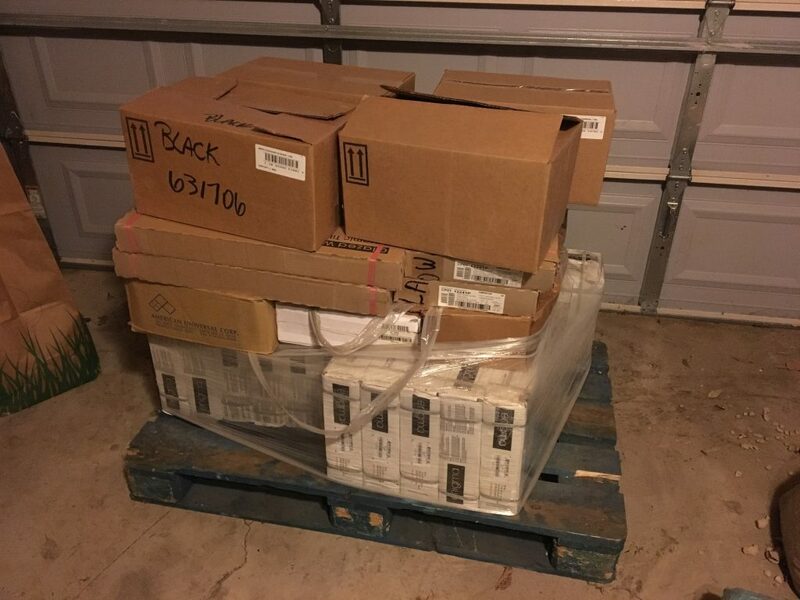 The tile has been delivered and is sitting in our garage on pallets. Next up: kitchen cabinet installation!